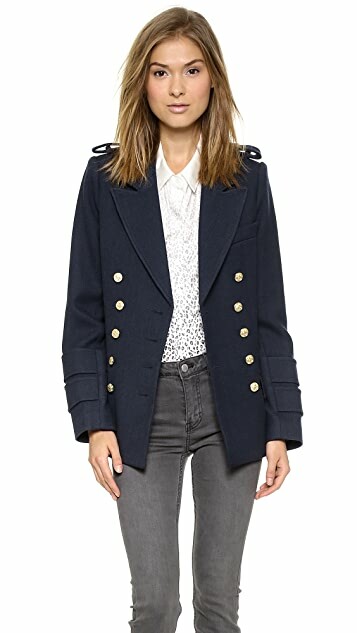 This structured SMYTHE pea coat has classic styling with a tailored, feminine fit. 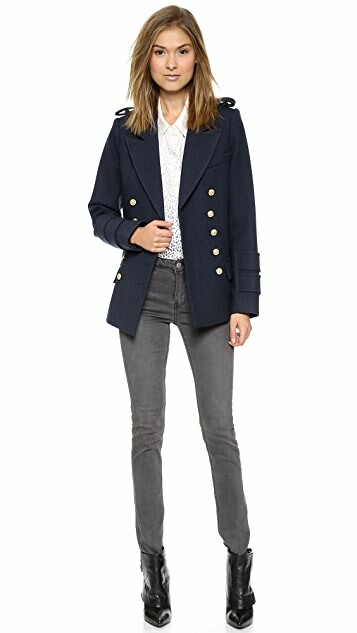 Gold-tone, antique-inspired buttons detail the double-breasted placket, and flap pockets sit at the hips. 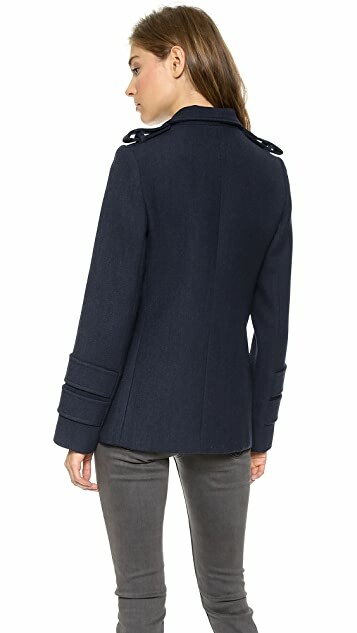 Peaked lapels and epaulets complete the sharp profile. Lined. Not a winter coat. Quality is okay. 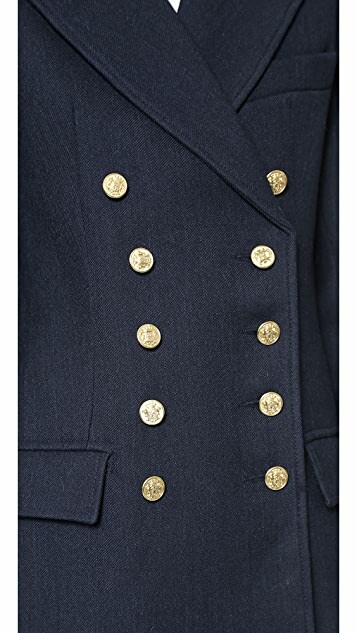 The only problem is the weird epaulets. I am thinking to remove them. 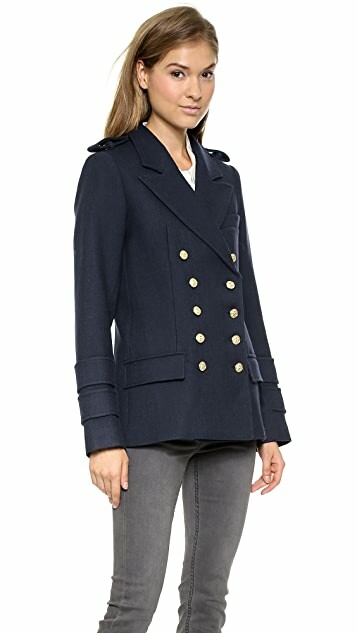 Anyway, there are many options other than this coat for this price.